Seriously, folks, when I say super simple, I mean super simple. 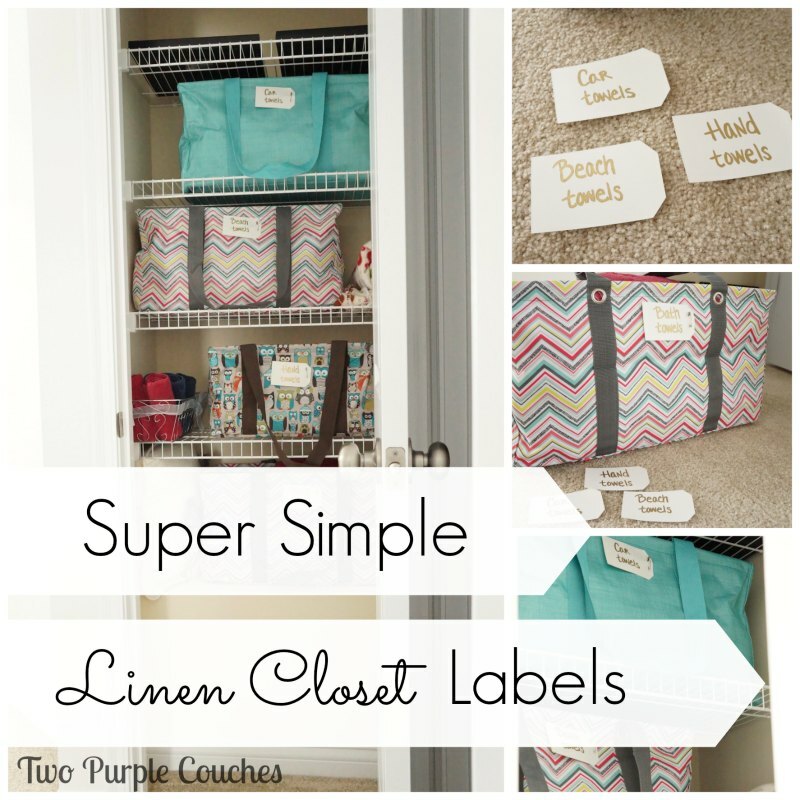 You might laugh at how simple these linen closet labels are. But that’s cool. Because these took me no time flat, and now my linen closet is organized. I made these labels using the Silhouette Cameo I got for Christmas. This was the first official project I tried with it, hence the emphasis on simplicity. 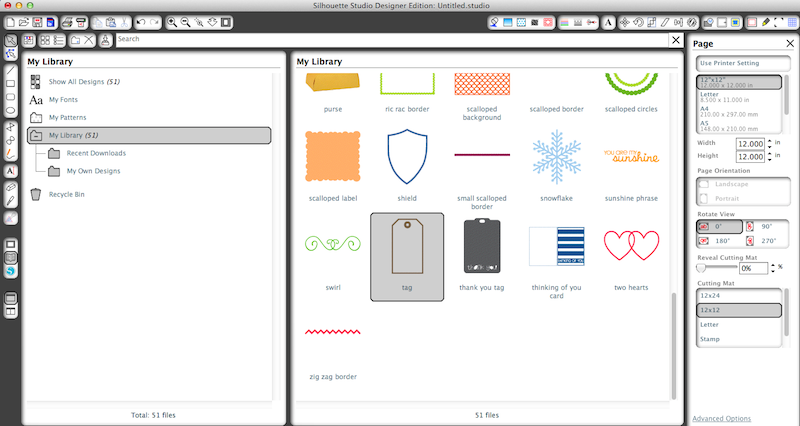 To start, I selected a tag design from the free downloads I got when I hooked up and installed my Cameo. 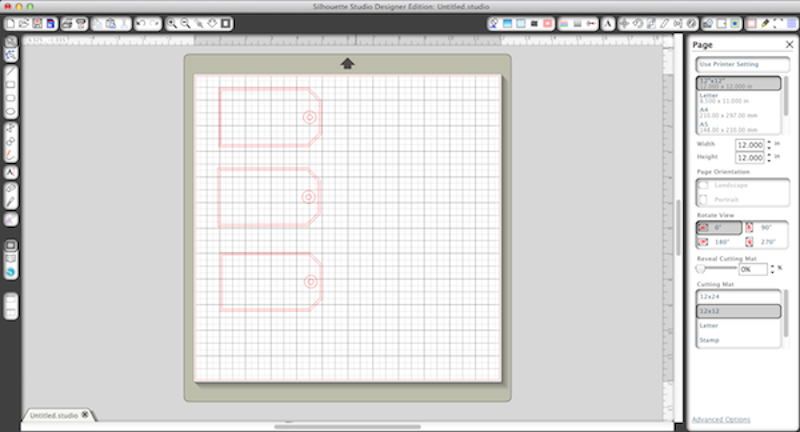 I decided on a good dimension for the totes I’d be using, then copied and pasted the design several times. 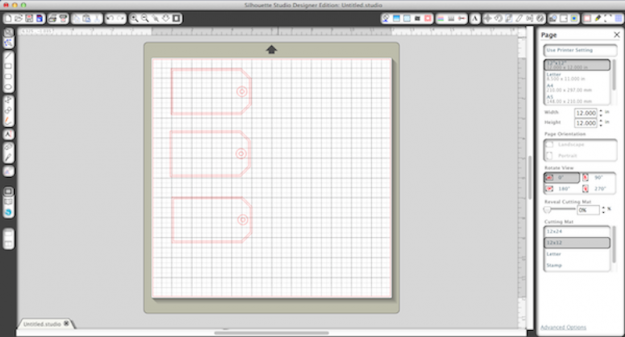 I followed the instructions to make my cuts, and peeled my design from my cutting mat. I used plain ole card stock. Like I said – I was going for simplicity! Then I pulled out a gold paint pen and got to labeling. I realize that I could have used my Silhouette to cut the letters out of my tags, but I wasn’t sure if they’d be readable. We mainly use the linen closet in our upstairs hallway for storing bath towels, beach towels, holiday towels, etc. I had already sorted through our towels and organized them into a bunch of fabric totes I purchased through a friend, who’s a thirty-one consultant. Then I simply pinned my labels to the totes and shelved the towels we use most to be in easy reach. 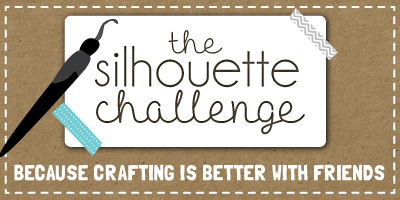 I’m really excited to be teaming up with a bunch of other awesome bloggers today as part of the very first Silhouette Challenge of 2014! All year long, we’ll be bringing you fantastic projects inspired by each month’s theme, and created using our Silhouette machines. 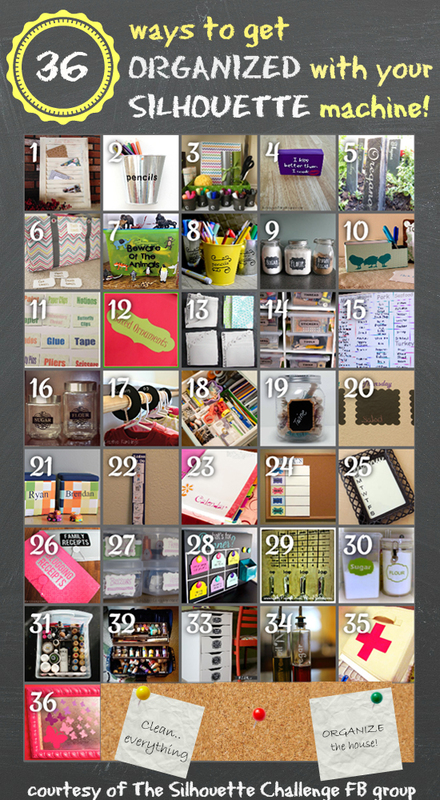 In case you haven’t already guessed, January’s theme is… ORGANIZING! Whoo! And we’ve got 36 – yes! 36! – awesome ways to help you get organized. Check out all these great ideas & inspiration, then get organizing! This entry was posted in Around the House, Made It Myself on January 13, 2014 by Two Purple Couches. Wow! I need to do this in my linen closet so that when my husband “helps” so he has no excuse for putting things away on the wrong shelf! I wish my linen closet looked like this. It needs some major reorganizing and this looks like a great way to do it! Thanks! Thanks Danielle! I’m sure you can whip yours into shape in no time! Simple sometimes is the best! I did something similar and I feel the same way you do — very organized! Angela @Little Blue’s Room recently posted…A Pinterest Party! It really is! I’ll have to hop over and see yours! 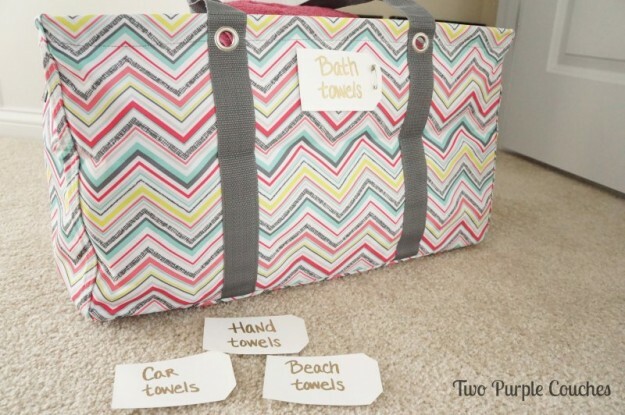 Love the simplicity of this, ans all the awesome thirty-one totes! Thanks Sarah! 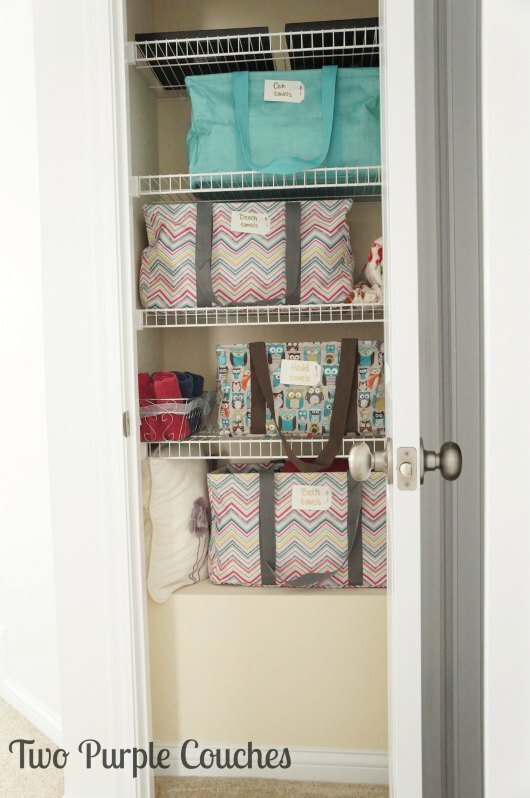 I love the fun colors & prints… it makes organizing a bit more fun! Thanks Pam! It didn’t look nearly this neat before! I just hope it stays this way! What a great project to start out with! They look great! 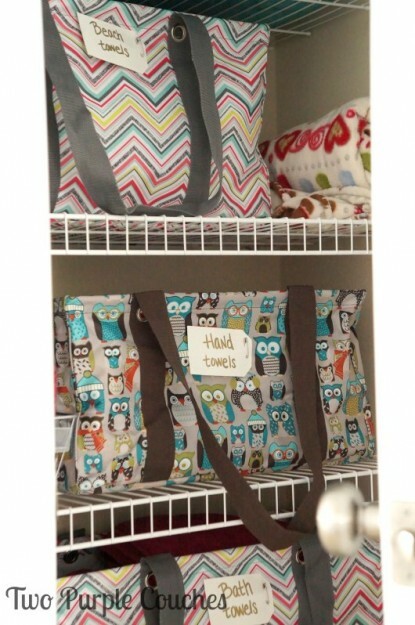 Not to mention the super cute totes they’re in…I’m a bit of a Thirty-One fanatic. Great job! Thanks Heather! These Thirty-One totes are perfect for a job like this! I love super simple! It makes me more likely to try a project, and boy do I need help in the organizing department (you don’t want to see my basement, seriously). And I love the way the gold pens stand out on your labels, it was definitely the right choice to make. 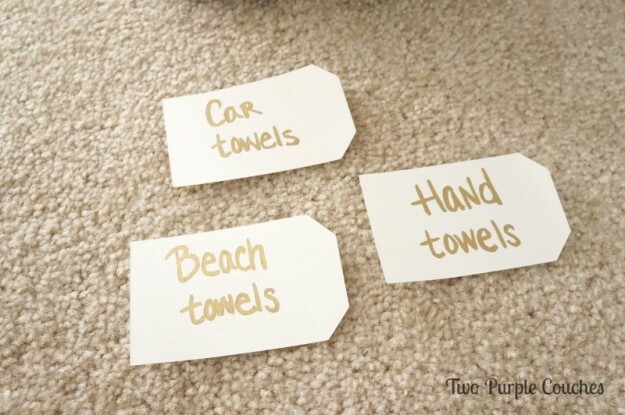 Thanks so much for sharing this super simple organization project! Can I copy your idea? My linen closet stays a disaster! Thanks for sharing. Haha, absolutely Glenna! If it helps you get organized, go for it! Oooh that is so clever and I love those bags too!!!!! Pinning this!!! I love this! My linen closet is a MESS! Thanks for sharing this great idea. Thanks Jessica! It’s so nice to have at least one closet feeling organized! You have THE most organized closet I have ever seen!!!! Loving that you’re diving right into the Silhouette! Hahaha! You should see the closet in my bedroom; it is a HOT MESS! Look at you all organized! Love how simple it is! Haha, Thanks Jenna! I gotta start somewhere! Oh my! 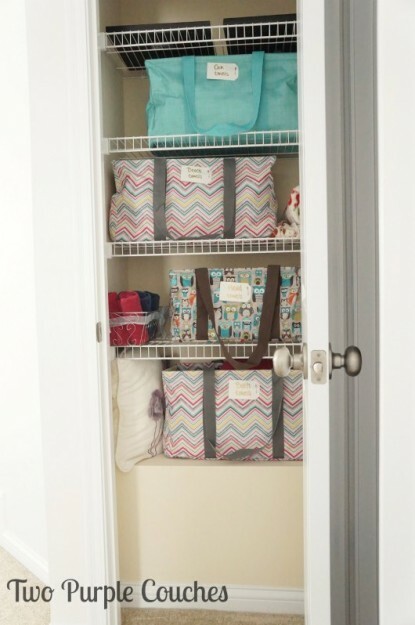 My “linen closet” is half linens, half craft supplies… So, you can only imagine that my closet doesn’t look anywhere near as beautiful as yours! I bet with a few labels, though, I could really spruce things up! Thanks for the inspiration! Haha, you’re welcome Janice! I think a linen closet would be a great place to store craft supplies! I really like the labeling idea, but the best part are those cute bags. They are a cute way to organize a linen closet! Thanks Emily! Cute bags definitely help make the organization process more fun! Christine | Where The Smiles Have Been recently posted…Boom! Snap! Bang! : Fourth of July Firework T-shirt!